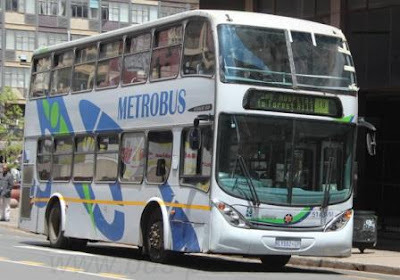 Metrobus is Johannesburgs primary and largest bus service operating an extensive amount of routes in covering most of the Metropolitan Municipality with many focusing on schools. which will be achieved through our mission to promote accessible, safe, affordable, reliable and environmentally friendly mobility through an efficient and sustainable bus service. Metrobus also operates a private hire transport service.Our luxury coaches and semi luxury buses are available to groups attending events such as funerals, tours, excursions, council events and special events. It is cheaper to use prepaid tags rather than pay cash. The different coloured Metrobus tags are similar to prepaid phone where you would load trips and use as you go. R69.00 once-off fee for the tag is payable and the top-up amount is then recorded on the tag and deducted as bus trips are made. Different tags are available depending on the commuter's particular needs, with special rates for pensioners, scholars and people with disabilities. Adult commuters who use the buses daily are issued green tags. Green tags are available for: 52 trips monthly, 44 trips monthly, 14 trips weekly, 12 trips weekly and 10 trips weekly. School children use red tags that can be preloaded with a specific number of bus trips. The children then do not have to carry money for fares. Red tags are available in: a 130-trip term ticket, 44 trips monthly, 10 trips weekly and the stored value. People with disabilities use a yellow prepaid tag, which is valid for a period of six months. Pensioners use black tags, which are valid for a year. They receive a 50 percent discount on their bus trips. Infrequent users can use a stored value tag that works like a debit card. The commuter tells the driver the number of zones to be travelled and the amount is then deducted from the tag. Passengers get a 10 percent discount on their bus fares but these are not transferable. The minimum amount amount on the stored value tag is R50, and the maximum is R500.00. The stored value has no expiry date. 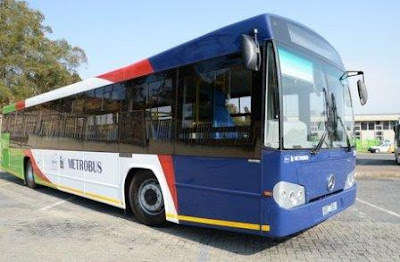 Metrobus offers a specialized transport service which is dedicated to people with disabilities on designated routes with 6 (six) buses which are equipped with hydraulic chair lift. This is a subsidized service and the passengers pay a monthly fee. Special stickers are displayed at the front of the bus to notify commuters. The buses have ramps that align with the pavement to make wheelchair access easy. They also have dedicated wheelchair spaces complete with seatbelts that lock the wheelchairs to the floor. There are 9 (nine) double decker buses which have ramps that align to the pavement to make wheel chair access easy. These buses have been integrated into the normal daily scheduled service. A special prepaid tag system is also available for people with disabilities. Metrobus has divided its coverage of the city into concentric zones, radiating out from the CBD. Most of the routes start from the inner city bus terminals in Zone 1, with longer trips traversing a number of different zones. 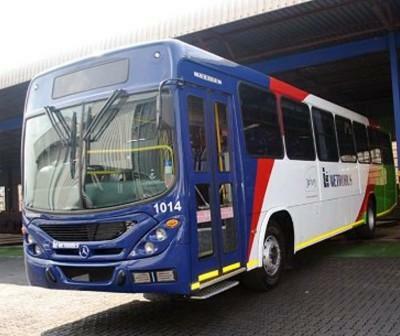 For example, a trip from the CBD to Midrand could cross different zones up to eight times.